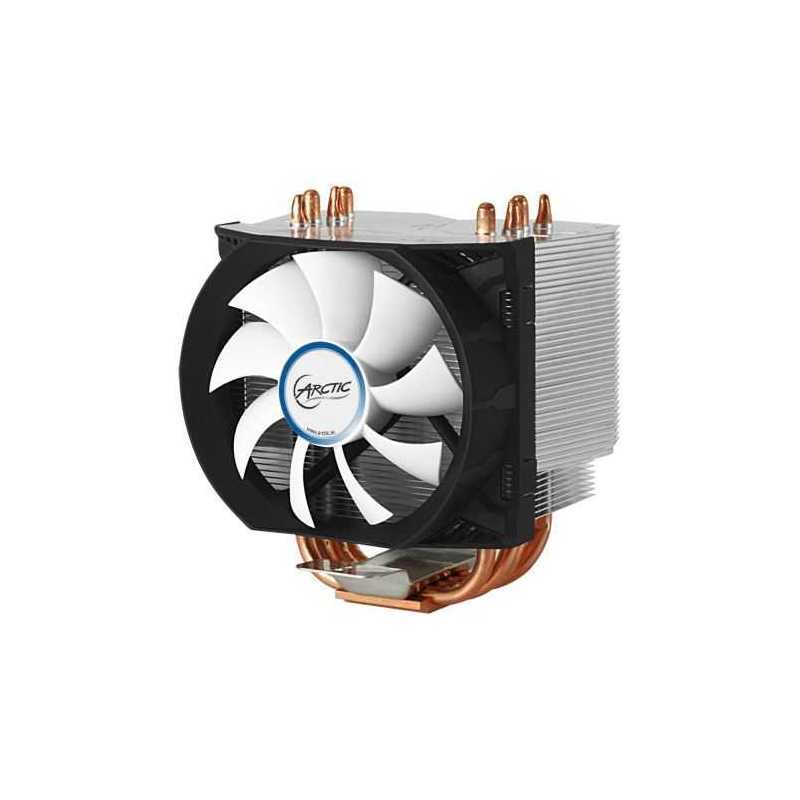 A 92 mm PWM fan in combination with double-sided 6 mm copper heatpipes and a 45-fin heatsink enable the Freezer 13 to deliver high performance and improve heat transfer from the CPU. 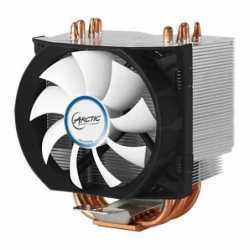 It excels in cooling efficiency in a Hexus comparison review with the stock cooler as well as competitors. Freezer 13 is one of the quietest coolers in the market, according to a test by Hexus. Freezer 13 features wide compatibility with AMD and Intel sockets. Its simple mounting system is designed to fit all current CPU platforms. It is compatible with AMD Sockets FM2, FM1, AM4, AM3+, AM3, AM2+, AM2, 939 and 754; Intel Sockets 1366, 1150, 1151, 1156, 1155 and 775. The unique push-pin mounting system offers a hassle-free installation in minutes and excellent stability. Its fibre reinforced retention module is strong enough to make PCs with this cooler transportation proof. The pre-applied ARCTIC MX-4 high performance thermal compound shortens installation time further. AM4, AM3(+), AM2(+), FM2(+), FM1"
Noise level: "0.5 Sone @ 2,000 RPM"